Apple has released its newer model AirPods, which means Apple’s first generation AirPods are getting a rare price cut. Right now at Walmart you can find the previous model Apple AirPods on sale for $147. That’s a $12 discount and the best price we’ve seen for the truly wireless Apple earbuds. Apple’s top-rated AirPods are one of the best wireless earbuds on the market and its price reflects that. 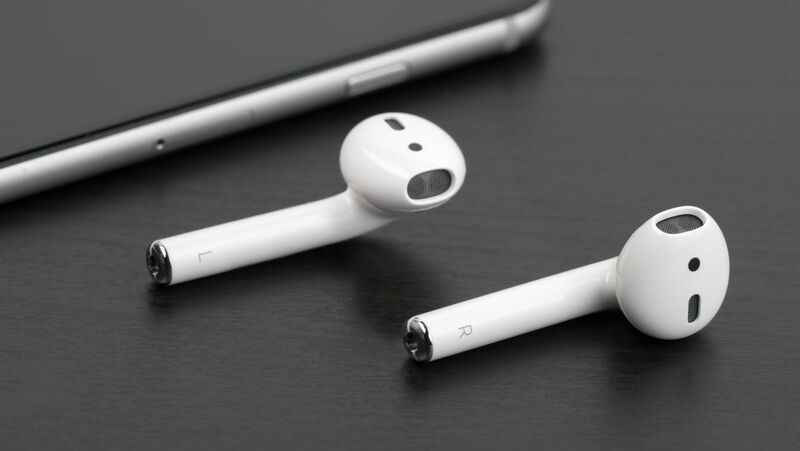 The earbuds are ready to use as soon as you take them out of the case and will automatically pair with your Apple devices. The earbuds can sense when they’re in your ear, and your music or podcast will pause as soon as you take them out. Apple’s AirPods feature quality sound despite its size and offer an impressive five hours of battery life. The biggest difference between the original version and the 2019 Apple AirPods is faster pairing and its charging case. The charging case on the newer model offers a further 20 hours of battery life and can be charged wirelessly using a charging mat or a lightning connector. Faster pairing on the 2019 model is due to the improved connectivity because of Apple’s new H1 headphone chip. If you aren’t impressed with either improvements, then it’s best to stick with the original AirPods which are $50 cheaper than the newer model. While a $12 discount might not seem like a lot, Apple AirPods are rarely discounted, and when they are, they tend to sell out. We aren’t sure how long Walmart will have the earbuds on sale, so if you’re interested then you better act fast. Learn more about Apple’s wireless earbuds with our Apple AirPods review.